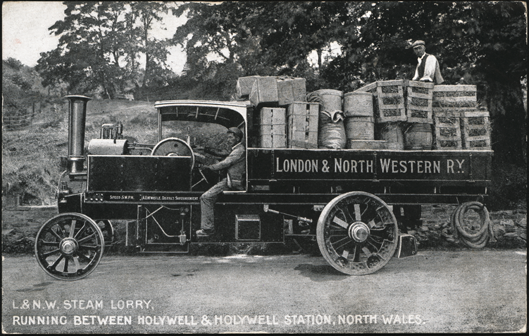 The London and North Western Railway used steam lorries to move freight. 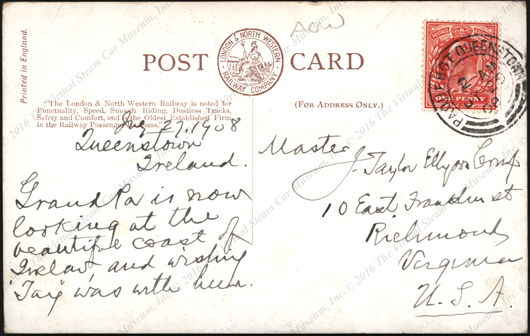 This postcard, mailed from England, shows one of the London and North Western Railway steam lorries piled with freight. Contact us if you have additional information about the London and North West Railway steam lorries or if you have questions.